When we think about space stations the first name that comes to mind to most of us is the International Space Station (ISS). 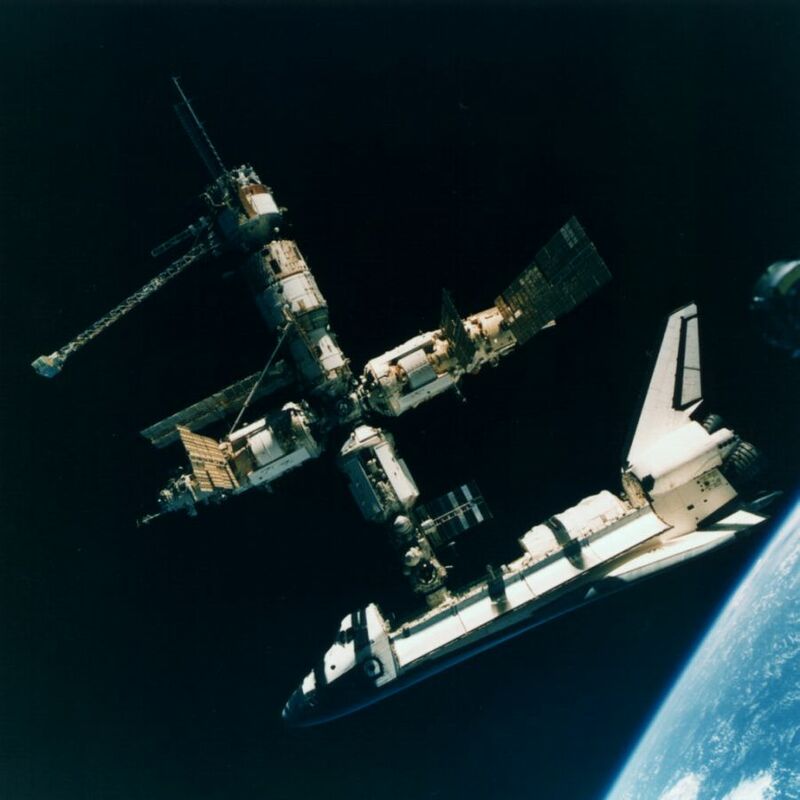 However, a space station that is often forgotten but was important to us is a space station called Mir. 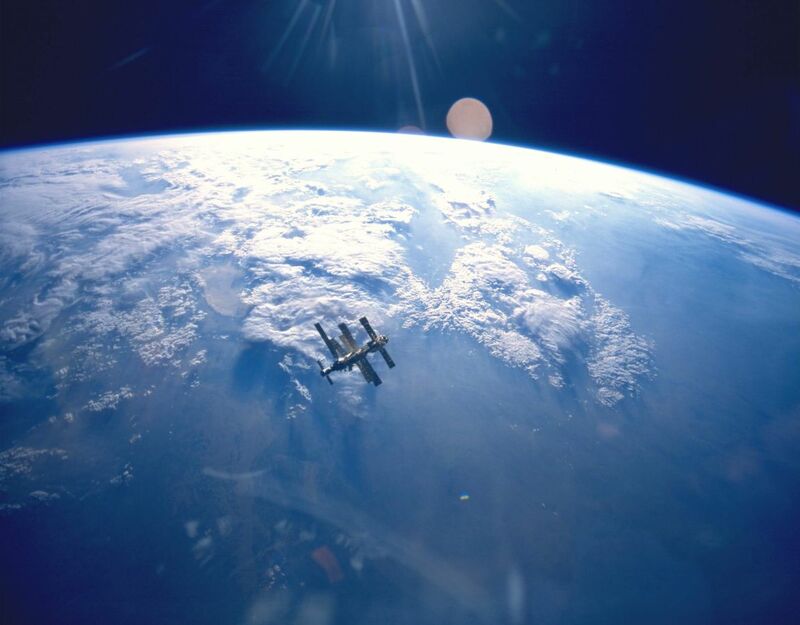 Space Station Mir lasted 15 years, three times it’s expected lifespan, and even outlasted the Soviet Union who launched it into space. The Russian word “mir” literally translates to peace, world, or village. It’s a fitting name as it was a host for many crewmembers and international visitors. What’s interesting about Mir that some may not know is that it was the first to raise a crop in outer space from a seed. Quoted from NASA’s history website: “NASA-4 Mir Astronaut Jerry Linenger compared Mir to ‘six school buses all hooked together. It was as if four of the buses were driven into a four-way intersection at the same time. They collided and became attached. All at right angles to each other, these four buses made up the four Mir science modules…'” Mir set every record in long duration space flight. Physician Valeri Polyakov lived on board for a single stay of 437 days! Not only that but in 1999 Sergei Avdeyev stayed on board for a total of 747 days. The research from both people, and among others who stayed, were very valuable to learning how to live in space or microgravity environments. Like how all good things must come to an end, Mir was built on a sinking foundation. 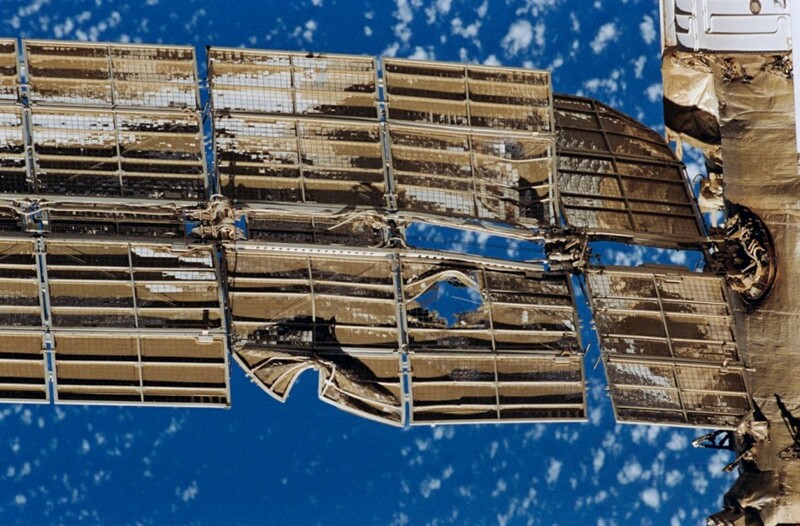 Without more funding Mir couldn’t last any longer with the main focus and funding being directed to the International Space Station. 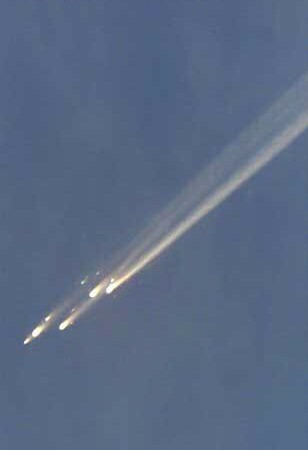 Many Russians actually rallied together to keep Mir afloat and the Russian state Duma called for the firing of Yuri Koptev from his post as the head of Russia’s aerospace agency. Eventually, the Russian prime minister Mikhail Kasyanov signed a resolution calling for Mir to be sunk into the ocean, early in 2001.